The koala will see you now? 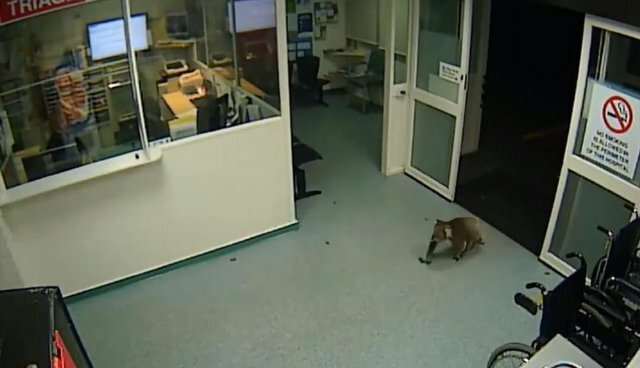 Last month, security cameras at a hospital in Hamilton, Australia, captured footage of a meandering marsupial wandering through the facility's automatic doors for an unannounced visit. For several moments, the curious koala can be seen exploring an empty waiting area, perhaps looking for something to munch on, before heading back out the way he came, empty-handed.